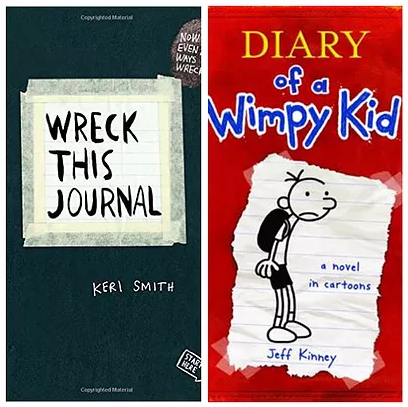 There’s a reason kids love the Diary of a Wimpy Kid and Amelia's Notebook series. They’re personal, relatable, and feel just like the kind of journal a kid would create. And here’s something else about them: they can inspire kids to write visual journals of their own, which, in turn, can dramatically improve their writing. One Menlo Park teacher who had her students create visual journals noticed an improvement in sentence fluency, voice, and word choice in their writing. For reluctant writers (and even those students who love writing) creating a space for them to journal can have lasting impact. For one thing, many students aren’t given a space where they can write whatever they want. Allowing them a place where they can tell their story (or make one up) in their own way gives them agency and a sense of their own voice. Making their journal private is even more helpful…they can share it if they feel moved, but many children just need a place to vent, imagine, and create. Most importantly: let them know their journal does not have to be entirely made of words. They can draw, paint, sketch, glue in leaves and string, and rip out pages. It is their space. The more control they have with it, the more freedom they will feel to express themselves. To get them inspired, have them read one of the books mentioned above, or get them a copy of one of Keri Smith's Wreck This Journal series.